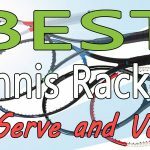 Home » Theory » How Does A Tennis Tie-Break Work? 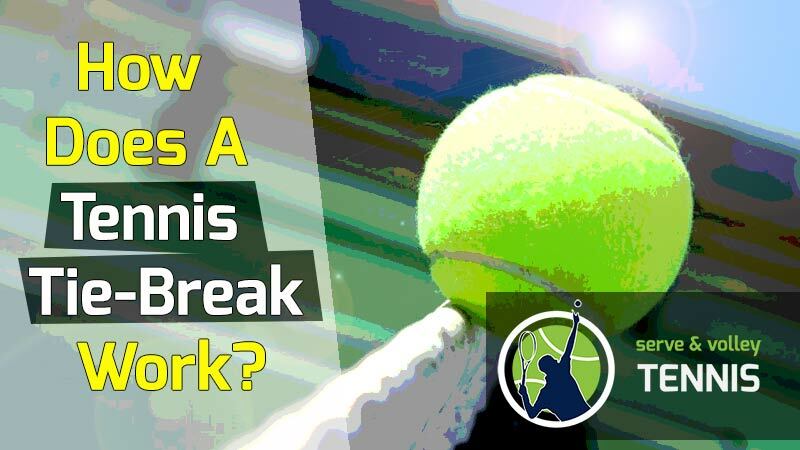 How Does A Tennis Tie-Break Work? 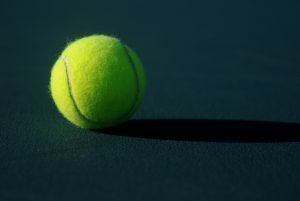 A tennis tie-breaker is played when the game score in a set is 6-6. At this point, players will engage in a 7-point tie-break to decide the set. This means the first player to reach 7 points wins the tie-breaker. If the score in the tie-breaker reaches 6-6, then a player must win by 2 points to capture the tie-break. For example, final tie-breaker scores in this scenario might be 8-6, 9-7, 10-8, etc. There is no limit to how high the score can go in a tie-break. Some tie-breakers end 15-13 or even higher. The tie-breaker continues until one of the players wins by 2. These same rules apply for singles and doubles tie-breakers. The only difference between singles and doubles tie-breakers occur in the serve, which I’ll explain deeper in the post. Who Serves First In A Tie-Break? 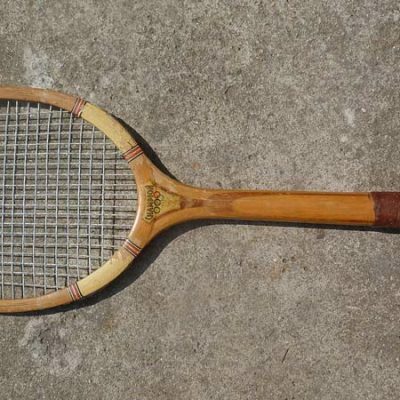 The player who received during the 12th game – or the game that made the score 6-6, will begin serving the tie-breaker. Inversely, the player that served to make the score 6-6, will receive first in the tie-breaker. How Does The Serve Work In A Singles Tie-Breaker? Player A starts the tie-breaker and gets one serve, on the deuce side. The next serve will be from the Player B on the ad side. The next serve is still from Player B on the deuce side. The next serve is from Player A on the ad side. The next serve is from Player A on the deuce side. The next serve is from Player B on the ad side. — After 6 points, the players will change ends. Player A and Player B will walk across the net to the opposite end of the court and then resume the tie-breaker. If more points are needed, then the same pattern will continue. The player that starts the tie-break serves the first point only. From then on, both players get to serve twice and then continue alternating. ** Just to make things clear for tennis newbies, both players still have two attempts to get the serve in the service box before losing the point. The deuce side is the right side of the court. The ad side is the left side of the court. When Do You Change Ends In A Tie-Break? No sides are changed to start the tie-breaker. You will remain on the same side for the first 6 points of the tie-breaker. Once 6 points are reached (it can be any combination of score), then the players will change ends. If the tie-breaker goes another 6 points, then the players will change ends again. This continues to repeat every 6 points until the tie-breaker ends. If there is another set to be played at the conclusion of the tie-break, the players will change ends depending on where they finished the tie-break. 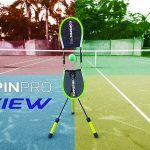 For example, if Player A finishes the tie-break on one side of the court, he will start the next set on the other side of the court (opposite side of the net). Once the score concludes in a tennis tie-break, it is reported as a 7-6 set score. The exact score of the tie-break does not matter (it could have been 7-0), the set score is still put in the books as 7-6. If you are playing a league or tournament match, you only need tell the score keeper a score of 7-6, if you played a tie-break. Whoever wins the tie-break wins the set. 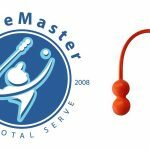 How Does The Serve Work In A Doubles Tie-Breaker? The serving in a doubles tie-breaker is a bit more complicated to explain, as there are four people on the court. As you may know, two players are on each side of the court in a doubles match. The team that served to make the set score 6-6, will receive first in the tie-breaker. The team that starts the tie-breaker only serves once before the other team serves. From then on, both teams will serve twice, alternating every two serves, just like in singles. The player that starts serving first in the tie-breaker is the player that did not serve the last game for his team. This might be difficult to understand, so I’ll lay out the format for the entire set so you can easily see. Let’s call the players on the first team Player A1 and A2. The players on the opposing team will be B1 and B2. This is how the serve pattern will look for the set. Let’s assume the game score is now 6-6 after 12 games. A tie-break will commence. At the start of the tie-breaker, team A will serve, as team B served the 12th game. Specifically, Player A1 will serve because A2 served the last game (game 11) and doubles players never serve two games in a row. Players will change ends after 6 points are played. The pattern keeps repeating until the tie-break ends. As with singles, tie-breaks need to be won by 2 points and all the players change ends every 6 points until the conclusion of the tie-break. 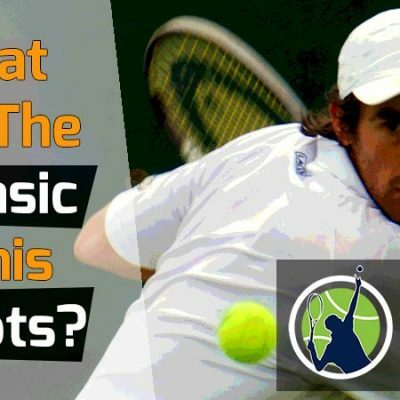 How Do You Determine Who Begins Serving The Set After A Tie-Breaker? 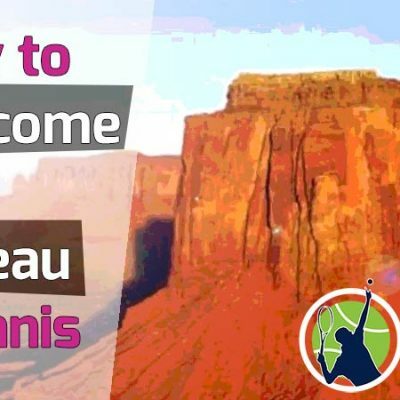 In singles, the player that started serving the tie-break will receive during the first game of the next set. Inversely, the player that received first during the tie-break will serve the first game of the next set. The same rules apply for doubles. The team that started serving the tie-break will receive the first game of the next set. At the beginning of the set, any player from the serving team can elect to serve. The same holds true for the next game, when the other team serves. Either of those two players can elect to start serving first. The two players who have not served yet will do so in the next two games (the 3rd and 4th games). This serve pattern holds until the set is over or a tie-break reached. Why Are Tie-Breaks Sometimes Played Until 10 Points? 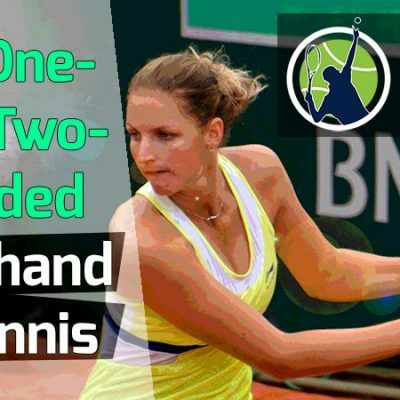 Tie-breaks in singles are always to 7 points in tournament or league play. However, in doubles, when the set score is 1-1, a 10-point tiebreaker is often played. This is because doubles matches are generally viewed as less important than singles matches and it saves time. This is not always the case though. For bigger tournaments, like the ATP Finals, majors, and Davis Cup tennis, teams will play out the final set. The same rules apply in the 10-point tie-breaker – players change ends every 6 points, a team must win by 2 points, and the same serve pattern (that I outlined above) holds for the entire tie-break. When playing singles, I like to immediately get ahead in the tie-break. This takes some pressure off and gives me a cushion. I know if I can get ahead by 1 or 2 points quickly, my chances of winning the tie-break increase. For this reason, it’s especially important you play well during the first 3 points of the tie-break. Once you have a mini-break (winning the point on your opponent’s serve) then all you need do is hold serve in the tie-break and you win it. If you’re down in the tie-break, never give up. It’s only to 7 points and you worked hard to be in the tie-breaker, so fight hard on every point. The tie-breaker is not that much different than playing a game, except you’ll be alternating every two serves. Focus on your strategy and remain consistent. Often being consistent in a tie-breaker is enough to win it, as your opponent is likely just as nervous as you. 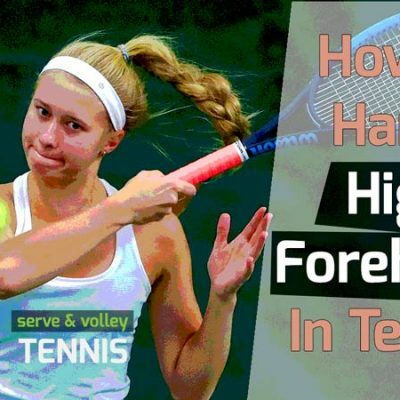 Those nerves can cause your opponent to tighten up and make unforced errors. If you’re losing during the 6-point change-over, take your time, drink water, and slow the pace down a bit. Make your opponent wait for you and keep your body language positive. 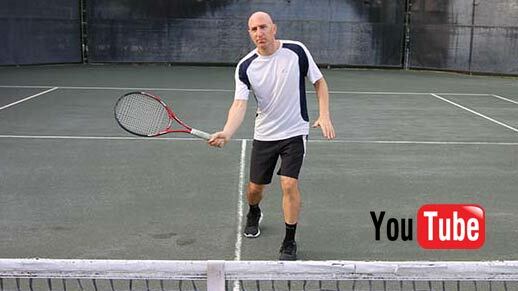 If you lose the tie-break and the match, consider what you can do differently for the next tie-breaker you reach. If another set is to be played, clear your mind of whatever happened in the tie-break and focus solely on the next set. Take it point-by-point. Doubles is a team effort. You should absolutely remain positive with your teammate all throughout the tie-break. There is no room for error at this point. Encourage your partner on every point. You’ll likely want to key in on the weaker player on the opposing team. When in doubt, hit to that player. Keep working your strategy. If you’re down in the tie-breaker, play slightly more conservatively, taking less risk – such as poaching. If you’re up in the tie-breaker, you can take a bit more risk. Serving well in doubles is more important than singles. If you’re serving, take a little off and get the first serve in rather than go for the big bomb. Only if you’re up by more than 3 points, should you start serving big. Getting the first serve in the box will increase your chances of winning the point a lot. If you’re new to tennis and wonder if you can remember its complicated scoring system, don’t worry. The more you play, the easier it becomes. 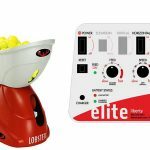 After playing a dozen or so times, I had completely learned the tennis scoring system. If you play with a more experienced player, you can rely on that player to guide you through. I hope this article answers all your questions regarding the tennis tie-break. If it didn’t, please leave me your question in the comment section below. Thanks for stopping by my blog! 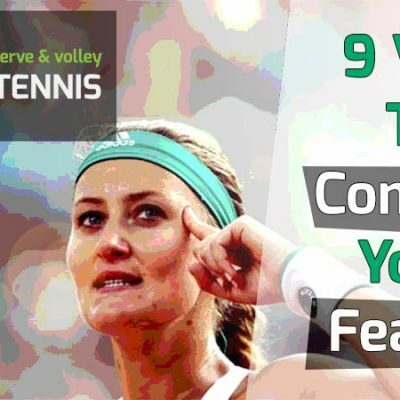 What Are The 8 Basic Tennis Shots? 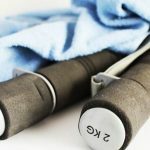 Why Did The Serve And Volley Die Out? 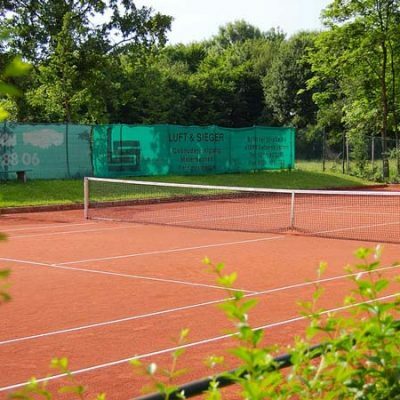 Can You Use The Serve And Volley Game To Win On Clay?